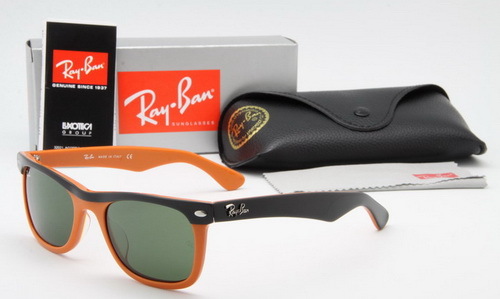 Founded in 1937 by Bausch & Lomb, the first Ray Ban sunglasses were created for the U.S. Army Air Corp. Lieutenant John A. Macready (an American test pilot) was looking for sunglasses to protect aviators from the damaging rays of the sun, but also look elegant.. The U.S. Army Air Corps pilots instantly took to the sunglasses, earning Ray-Bans the moniker “Aviator Glasses” — a term which now describes all sunglasses with designs that are similar to the original Ray-Ban. Ray-Ban switched from traditional metal frames to a hard plastic frame called “The Ray-Ban Wayfarer” in 1952 that met with instant popularity among both men and women from all walks of life. In the 50s and 60s, Wayfarers were worn by the likes of Bob Dylan, Andy Warhol, James Dean, Marilyn Monroe, Roy Orbison and John Lennon. After a dip in popularity in the 70s Ray-Ban invested heavily in TV and movie product placement. This resulted in Ray-Ban appearing in many now classic and iconic films including The Blues Brothers (Belushi actually only removes his sunglasses once throughout the entire movie), Risky Business, Miami Vice, Moonlighting, and The Breakfast Club. In the 2000s Ray-Ban has re-introduced classic versions of both its Aviator and Wayfarer models styled to appeal to newer generations of wearers.